This week, we enter the world of conspiracy, with a list of inventions which seemed to work, then vanished without trace. Were they hidden by governments and big business, did they not deliver on their promises and were quietly hidden away? Who knows, but here they are in a list. Which is nice. This is Genius is a channel dedicated to experiencing the unusual side of life. Comedy, sketches and tongue-in cheek location reports from around the world. We use a lot of music by a chap called StoneOcean, a little label for him appears in our videos when we do. Like his stuff? Check out his channel. 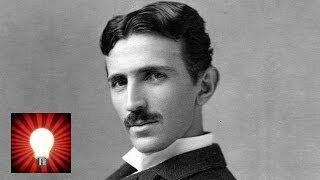 Top five suppressed invention conspiracies - This is Genius was added to our system December 7, 2014. This viral videos does not rank in our top 100 submissions. This is Genius is a channel dedicated to experiencing the unusual side of life. ... Top five suppressed invention conspiracies - This is Genius 8 months ago.